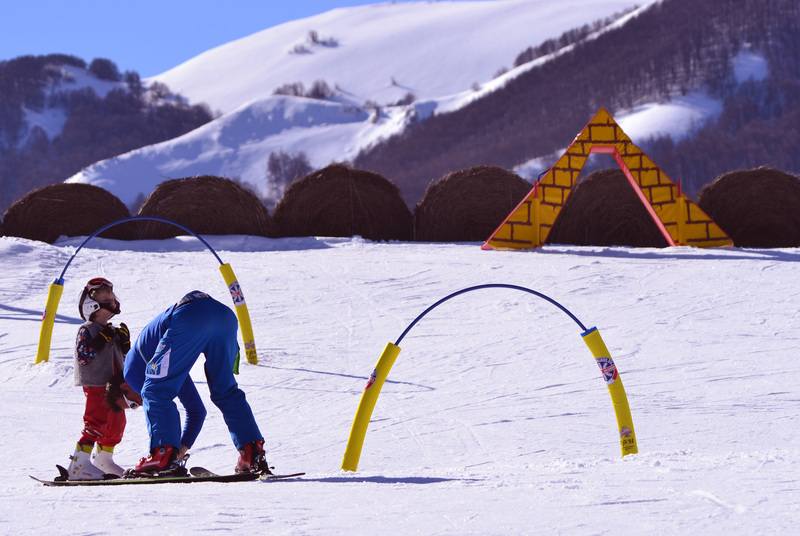 Skiing in Abruzzo is just one of the surprises that the Gran Sasso & Maiella Mountains host. With a wide range & choice of varying levels of runs at its 22 resorts, it has more than enough to keep the week-long holiday skier active & happy, as well as those on a weekend break looking for a bit of snow action. Roccaraso, with 855m of runs and 60km of pistes, is probably Abruzzo’s best known resort although, unlike its less famous neighbours, charges for car parking whilst you are out on the slopes. Cross country skiing in L’Aquila is recommended, whilst resorts like Prati di Tivo or Prati di Selva for just the weekend – less queues more ski-time!